Wire end brushes are intended primarily for use on high-speed portable power tools for addressing smaller surfaces and recessed areas. 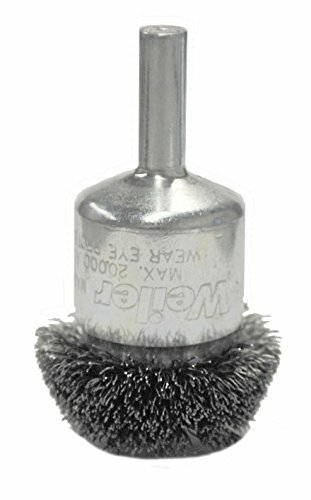 End brushes feature an integral 1/4" steel stem for safe operation at high speed and quick mounting into the collet or chuck of either electric or pneumatic die grinders. Circular flared end brushes feature crimped wire fill which has been "pre-flared" to match the working angle pf the brush at operating speed.